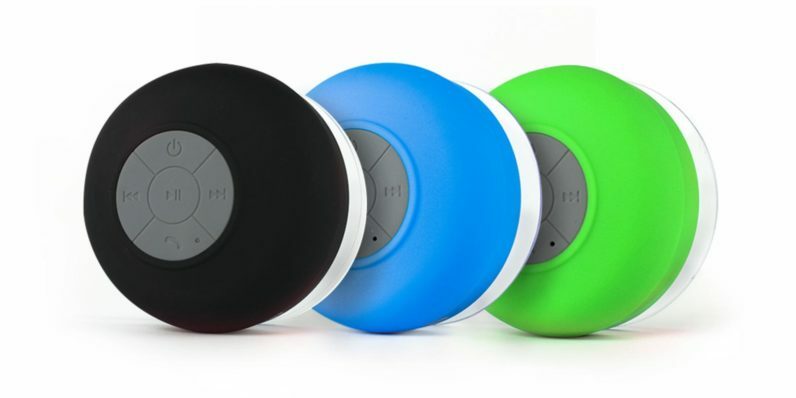 Rock out in the shower, at the pool, or on the go with the FresheTech Splash Tunes Bluetooth Shower Speaker. This powerful waterproof speaker is designed to handle any conditions, wet or dry, and boasts Bluetooth capability for playing music from connected devices. Now you can pick up a Splash Tunes speaker of your own for 59 percent off the retail cost from TNW Deals. This is the waterproof speaker you’ve been waiting for. Perfect for a shower dance party or relaxing in the hot tub, the Splash Tunes speaker is designed to withstand any splashing and will float in any body of water. You’ll have the freedom to blast music, skip songs, increase or decrease audio volume, and answer phone calls with the touch of a button. Your Splash Tunes speaker also features a suction cup that lets it adhere to nearly any flat surface, giving you an optimal listening experience no matter where you are. Enjoy clear sound and easy functionality in any condition with the FresheTech Splash Tunes speaker, now only $19.99 from TNW Deals. Be sure to choose your preferred color option on the right side of the deal page.